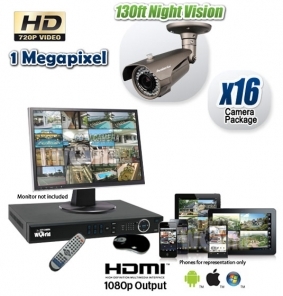 16 Camera HD CVI System with Night Vision is one of best selling security camera packages. It comes with sixteen 1 megapixel security cameras that use the latest HDCVI technology and provide true 720p video resolution equivalent to that of DVD quality. 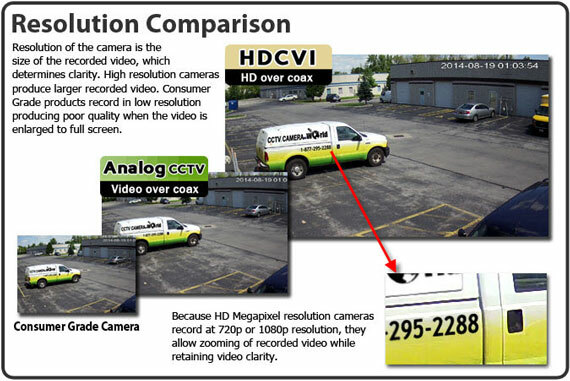 These cameras work in conjunction with the included 16 Camera DVR to provide the high definition security camera footage. The included outdoor night vision cameras have a variable zoom lens of 2.8-12mm that can be adjusted by hand at the camera. This manual zoom lens makes it easy to use the same camera all around the property and cover different angles without having to buy many different types of cameras. The cameras also have 130ft of night vision to see in complete darkness, and 3-axis bracket to mount the camera to a wall, pole, or ceiling. The cameras are also weather proof and can be use outdoors without needing any cover above. If you are looking for a best pick camera for outdoor use, then this is it!